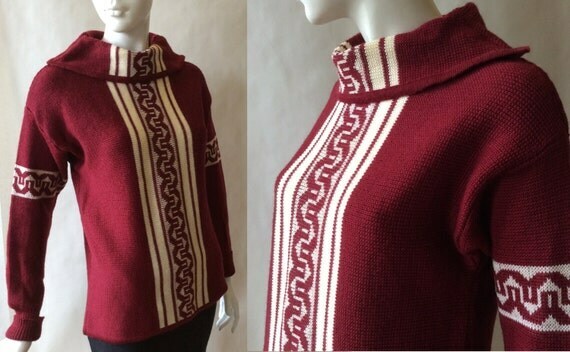 Oh so warm and cozy wool sweater, in lovely quality wool knit in dark cranberry red and cream, with decorative zigzag and stripe designs down the collar and center of the sweater bodice, and around the upper sleeves. 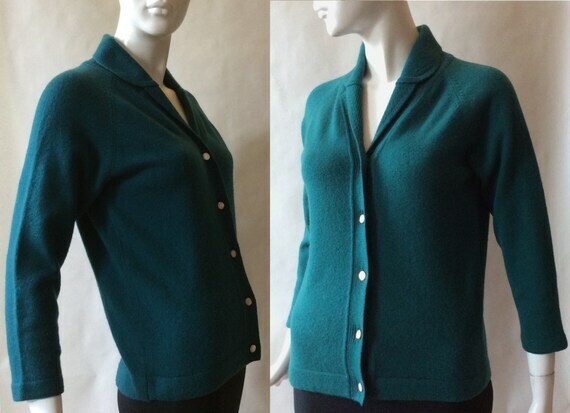 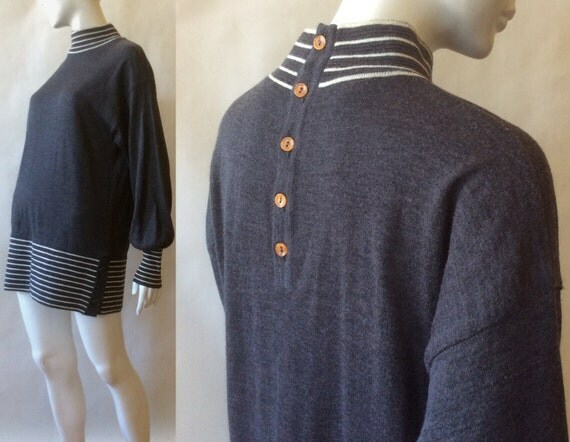 With wide mock turtleneck neckline that folds over on either pointed side and fastened at the shoulder…. 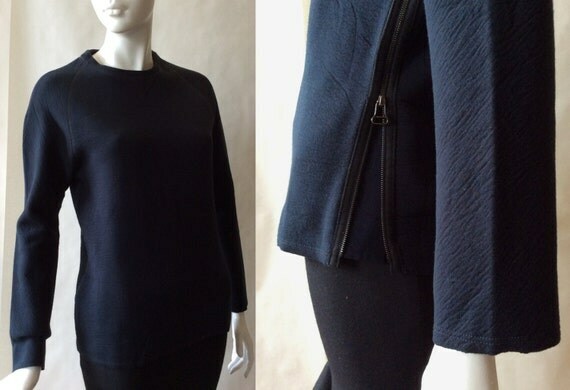 Oh so soft, classic yet ultra modern top, in textured darkest blue / black textured soft cozy lightly stretchy knit, with softly fitted square cut, raglan long sleeves, and slightly curved hem, and a split left side that zips up with an exposed zipper…. 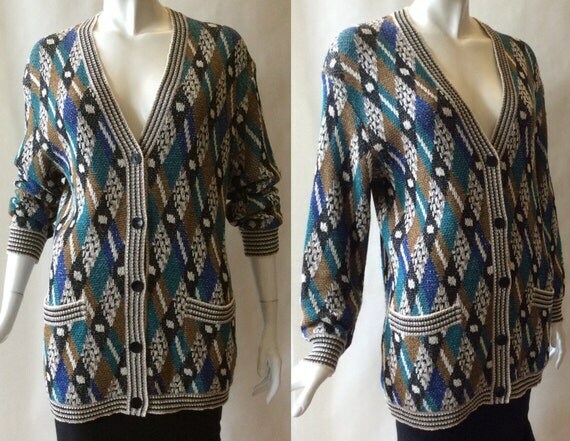 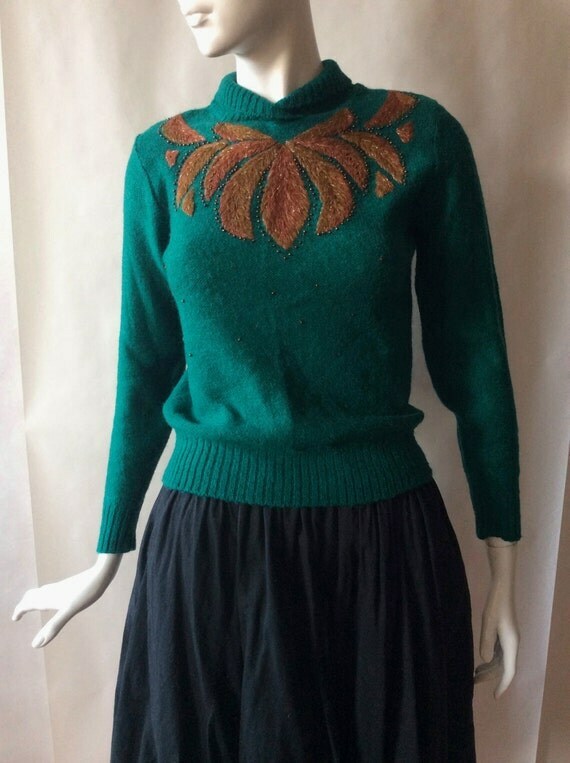 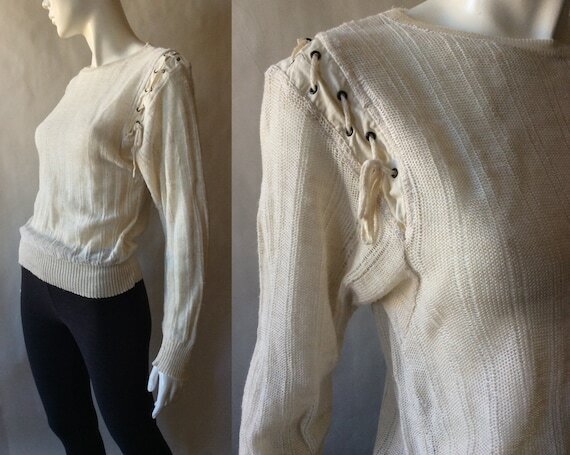 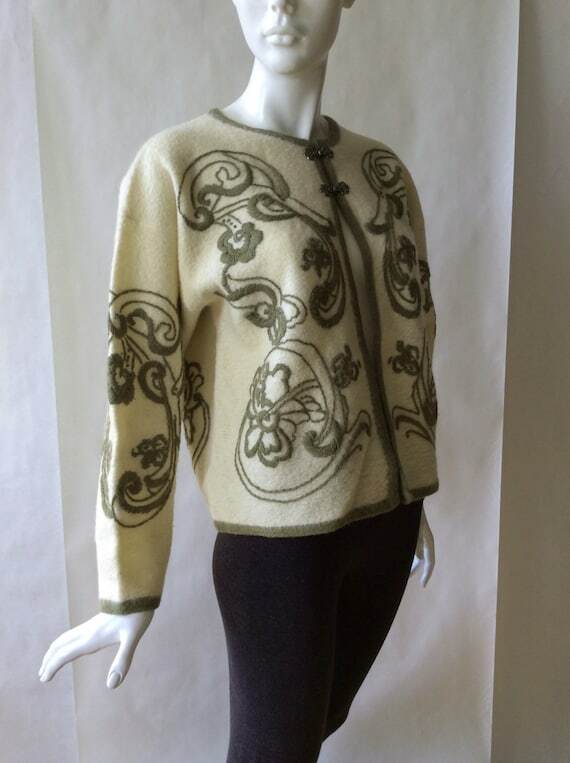 All this and more at afterglow vintage!